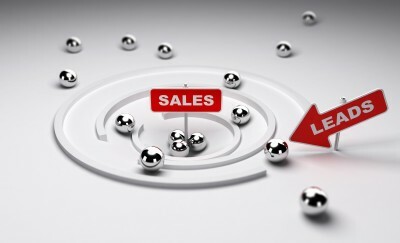 The success of your business depends on driving sales revenue. But the process between lead generation and closing sales can be filled with issues where leads fall through the cracks and aren’t followed up by the sales team. Not only are those sales lost, but also money spent on marketing is wasted. The Exitosys Technologies web-based Lead Management System(LMS), provides lead tracking in real time throughout the sales cycle, from demand generation to lead closure. It pinpoints where leads are quickly converting into revenue – and where they're not – to improve future decision-making. The easy-to-use cloud computing application integrates sales and marketing efforts across the enterprise, including business partners, call center representatives and the sales channel. Capture lead from different platforms to the system. (e.g.Web Inquiry, Hoarding Ads, SMS Campaign, News Paper Ads, Tele-Calling). Assign captured leads to the sales team person. Complete process of tracking lead from lead capturing to the conversion of the lead. System generated reminders on each and every follow-up with date and time to complete sales hierarchy. Each and every person will have login access to the system accourding to their role in the organization. System will give complete graphical representation on money spent on Ad Campaigns, Salaries, office rent and revenue generated.